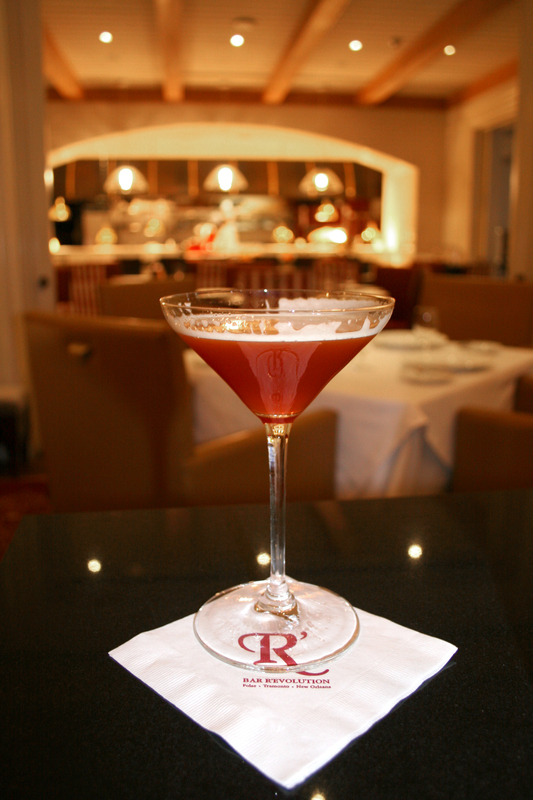 Restaurant R’evolution is serving up a classic cocktail for New Year’s Eve. Created in London in the 1800’s, The Partnership is a gin based cocktail with a dark-tea color and reddish tint that tastes subtly of spice and citrus fruit. If your travels do not take you to New Orleans for the holidays, you can delight your tastebuds by recreating this vintage cocktail right at home. Shaken over ice poured into a chilled martini glass.